Fans are the key role player of any sports team in any corner of the world, as they are the main supporters of any activity of the clubs financially, socially and emotionally. High attendance of fans in any game can put as much pressure as the team itself to the opponents because they stand up for their players, roar against their opponents, worship their winning managers and display amazing synchronized choreography with their team’s national anthem. Fans never stop cheering for their favorite clubs as they are the main ingredients to a house-full stadium in any match. 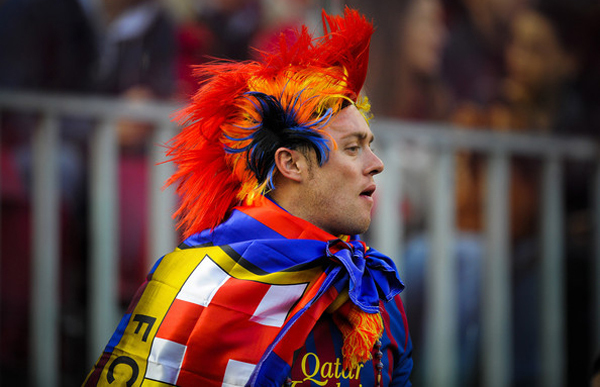 According to the studies, around 250 million official fans of various teams or football clubs can be traced worldwide. Our team has calculated the data of statistic reports of various premier or first division championships worldwide and ranked the supporter clubs according to the average attendance of supporters per match on their respective home ground. So here is the list of top 10 football club fan bases around the world. Ballspielverein Borussia 09 e.V. Dortmund commonly known as Borussia Dortmund is a large membership-based sports club and the third largest sports club by membership in Germany with 100,000 dedicated members. This 104 years old club nicknamed Die Schwarzgelben by the fans, which stands for The Black and Yellows. Dortmund achieved eight Bundesliga, five DFL-Supercups and three DFB-Pokals and also won of the UEFA Champions League, UEFA Cup Winners’ Cup and Intercontinental Cup. 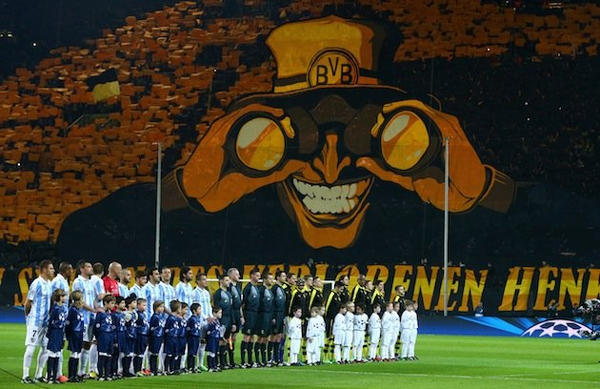 According to the statistics of 2013-14 season of German Bundesliga, Borussia Dortmund played 17 matches last season whereas a total of 1371495 fans attended the stadium to support their club. While their home ground Signal Iduna Park in North Rhine-Westphalia region of Germany has a seating capacity of 83000, all the matches of Borussia Dortmund last season was attended by their 80676 supporters on an average basis with the highest attendance of 86645 fans in a single match. Manchester United Football Club based in Greater Manchester was founded as Newton Heath LYR Football Club in 1878 and in 1902 changed its name to Manchester United. This 136 years old club established itself as one of the most popular football clubs in the world and holds the record of highest average home attendance in Europe. 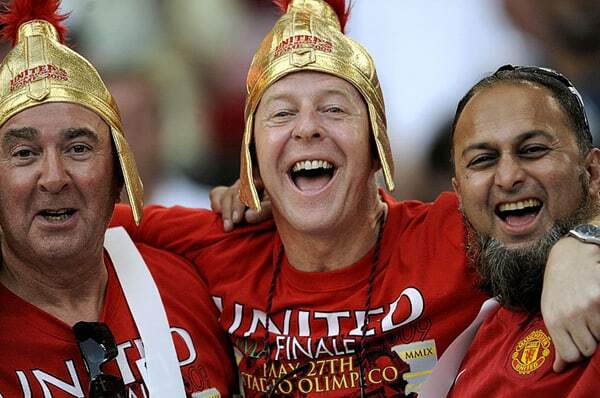 According to surveys, The Red Devils has 354 million fans worldwide with more than 200 official branches of the Manchester United Supporters Club in 24 countries. According to the statistics report of 2013-14 season of Barclays Premier League, Manchester United played 19 matches last season whereas a total of 1428860 fans attended the stadiums to support their club. While their home ground Old Trafford has a seating capacity of 75769, all the matches of Manchester United last season was attended by their 75203 supporters on an average basis with the highest attendance of 75368 Red Devils in a single match. Futbol Club Barcelona mostly famous as Barca was founded by a group of footballers led by Joan Gamper in 1899 and eventually became a symbol of Catalan culture and heritage. The motto of this club is ‘Més que un club,’ which stand for ‘More than a club,’ and the official theme song called Cant del Barça is sung by millions of Barcelona’s fans worldwide. According to recent reports, this team has a whopping 270 million fans all over the world. Barcelona’s players won the highest number of Ballon d’Or awards and the FIFA World Player of the Year awards. According to the statistics of 2013-14 season of Spanish Primera Liga, FC Barcelona played 19 matches last season whereas a total of 1406757 fans attended the stadiums to support their club. While their home ground Camp Nou has a seating capacity of 98000, all the matches of FC Barcelona was attended by their 74040 supporters on an average basis last season with the highest attendance of 98761 fans in a single match. Real Madrid Club de Fútbol or simply Real Madrid was founded as Madrid Football Club in 1902 and bestowed by King Alfonso XIII in 1920 with the royal crown in the emblem from which the word Real stands for royal in Spanish was adopted in the team name. 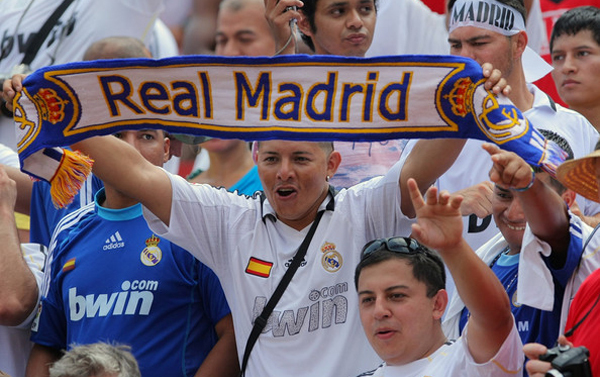 Real Madrid has more than 1,800 club-affiliated supporters’ groups called peñas all around the world with approximately 174 million members, and to hold a season ticket, one must first be a socio or club member. According to the statistics of 2013-14 season of Spanish Primera Liga, Real Madrid played 19 matches last season whereas a total of 1369605 fans attended the stadiums to support their club. While their home ground Santiago Bernabéu has a seating capacity of 75000, all the matches of Real Madrid was attended by their 72084 supporters on an average basis last season with the highest attendance of 98761 fans in a single match. Fußball-Club Bayern München e.V. or commonly the Bayern Munich was founded in 1900 by eleven football players led by Franz John and was nicknamed Die Bayern or The Bavarians by their roaring crowds of stadium. 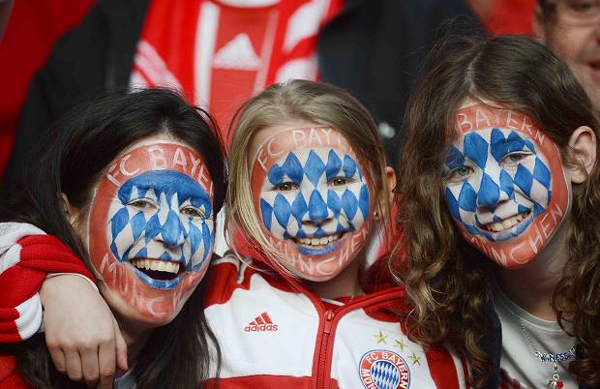 Bayern Munich is the second-most popular sports club in the world in terms of membership with their 223,985 members. It is the most popular football club in Germany with 10 million fans and also has 262,077 official members through its 3,576 club-affiliated fan clubs. According to the statistics of 2013-14 season of German Bundesliga, Bayern Munich played 17 matches last season whereas a total of 1207137 fans attended the stadium to support their club. While their home ground Allianz Arena has a seating capacity of 69060, all the matches of Bayern Munich last season was attended by their 71008 supporters on an average basis with the highest attendance of 71137 fans in a single match. Fußballclub Gelsenkirchen-Schalke 04 e. V. or famously just the Schalke was founded in 1904 and as of March 2014, it has 129,672 official members which make it the second-largest sports club in Germany in terms of membership. 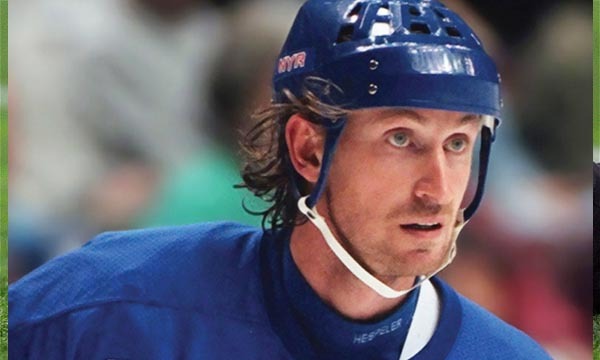 The motto of this team is ‘Wir leben dich,’ which stand for ‘We live up,’ and the team was nicknamed Die Königsblauen or The Royal Blues by its huge fan base. 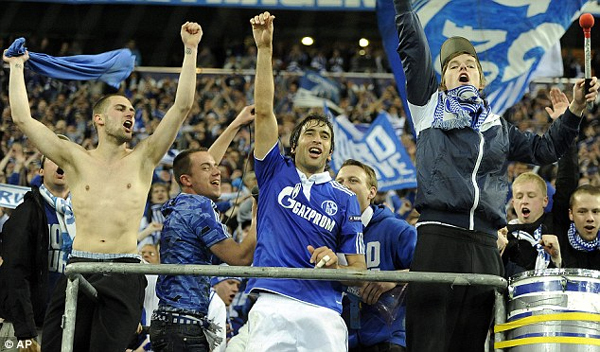 The official Schalke 04 Fan Club Association has 1500 fan clubs worldwide. According to the statistics report of 2013-14 season of German Bundesliga, Schalke 04 FC played 17 matches last season whereas a total of 1045704 fans attended the stadium to support their club. While their home ground Veltins-Arena in Gelsenkirchen has a seating capacity of 62109, all the matches of Schalke 04 FC was attended by their 61512 supporters on an average basis last season with the highest attendance of 61973 fans in a single match. Arsenal is one of the most successful clubs in English football and holds the record of winning 11 FA Cups. It was founded in 1886 in Woolwich and became the first club from the south England to participate the Football League in 1893. 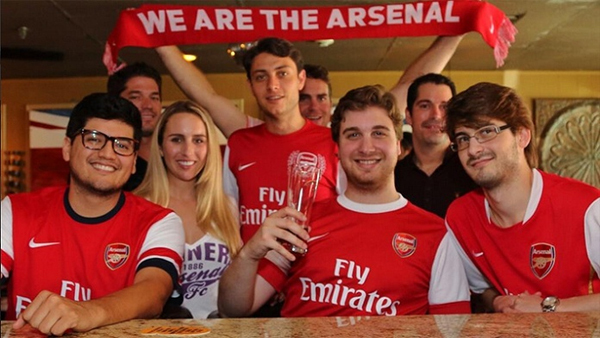 The Arsenal’s fans are often referred to as the Gooners, which is derived from team’s nickname The Gunners. It has a huge fan base of 27 million worldwide and the official supporters also publish magazines like The Gooner, Gunflash and the famous satirical fanzine Up The Arse! According to the statistics of Barclays Premier League’s 2013-14 season, Arsenal played 19 matches last season whereas a total of 1140251 fans attended the stadiums to support their club. While their home ground Emirates Stadium has a seating capacity of 60432, all the matches of Arsenal last season was attended by their 60013 supporters on an average basis with the highest attendance of 60071 Fans in a single match. Borussia VfL 1900 Mönchengladbach e.V or famously the Borussia Monchengladbach derived its first name Borussia from the Latinized form of Prussia. It was nicknamed Die Fohlen which stands for The Foals for their aggressive playing style by the fans. Borussia Monchengladbach is now sponsored by Retail banking mega giant Postbank since 2009. This team established itself as one of the most popular clubs in Germany. 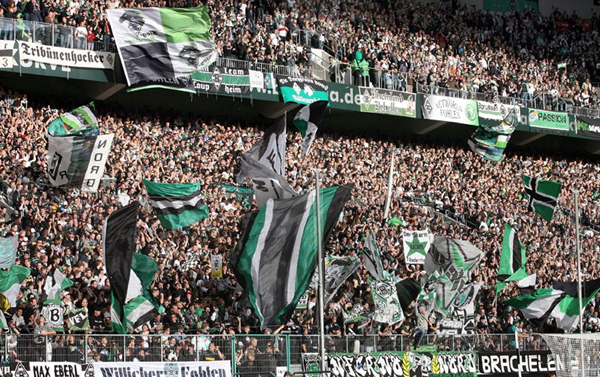 According to the statistics of 2013-14 season of German Bundesliga, Borussia Monchengladbach played 17 matches last season whereas a total of 892591 fans attended the stadium to support their club. While their home ground Stadion im Borussia-Park has a seating capacity of 54,057, all the matches of Borussia Munchengladbach last season were attended by their 52505 supporters on an average basis with the highest attendance of 54010 fans in a single match. Hamburger Sport-Verein e.V. famously known as Hamburger SV or just Hamburg was founded on 29 September 1887 by the merger of Der Hohenfelder Sportclub and Wandsbek-Marienthaler Sportclub, and played continuously in the Bundesliga since the end of World War I. The team is nicknamed Die Rothosen or The Red Shorts for their distinctive color of the shorts during match. Hamburg is listed among the twenty largest football clubs in the world by Forbes and currently has 70,000 official members which make it one of the most popular team in Bundesliga. 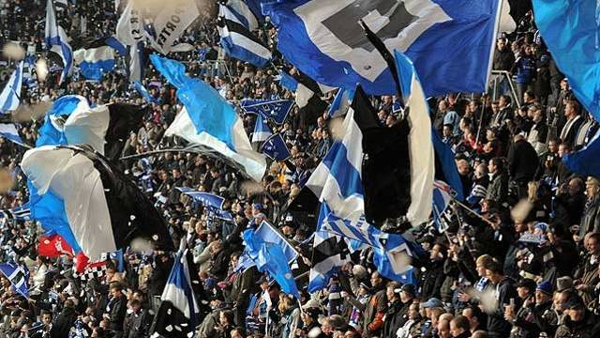 According to the Survey report of 2013-14 season of German Bundesliga, Hamburg played 17 matches last season whereas a total of 883586 fans attended the stadium to support their club. While their home ground Imtech Arena has a seating capacity of 56000, all the matches of Hamburg was attended by their 51976 supporters on an average basis last season with the highest attendance of 57000 fans in a single match. Newcastle United Football Club famously the Newcastle is mostly knows for their Tyne–Wear derby against Sunderland since 1898. The club was founded on 9 December 1892 and now has its official supporters’ clubs all over the world. Newcastle’s supporters often refer themselves as the Magpies, the Geordies or the Toon Army, and publish a number of fanzines including True Faith and The Mag. The official supporter club called Newcastle United Supporters Trust was founded in September 2008 which “represent the broad church of Newcastle United’s support” according to the fan base motto. According to the Barclays Premier League’s statistics report of 2013-14 season, Newcastle United played 19 matches last season whereas a total of 957511 fans attended the stadiums to support their club. While their home ground St James’ Park has a seating capacity of 52387, all the matches Newcastle United last season was attended by their 50395 supporters on an average basis with the highest attendance of 52280 supporters in a single match. According to the statistics reports of various championship leagues throughout the world, other notable mentions on this list which achieved a pretty amazing average attendance per match on their home ground are Paris St-Germain with 44812 attendances per match, Atletico Madrid with 46584 supporters per match and Inter Milan with 42605 supporters per match.